You have to sneak up on the Min Min, hunt them in the dark hours and pretend you’re not even looking for them if you want to succeed in encountering them. What are they? You will find out in good time as the story of our 2016 trip emerges from the mists, hopefully illustrated by lots of our photos. 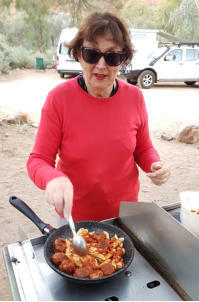 It was the end of a wet July when we left Benalla , just the two of us with our trusty A-Van (the Maus Haus) tootling along behind us like a faithful Labrador. 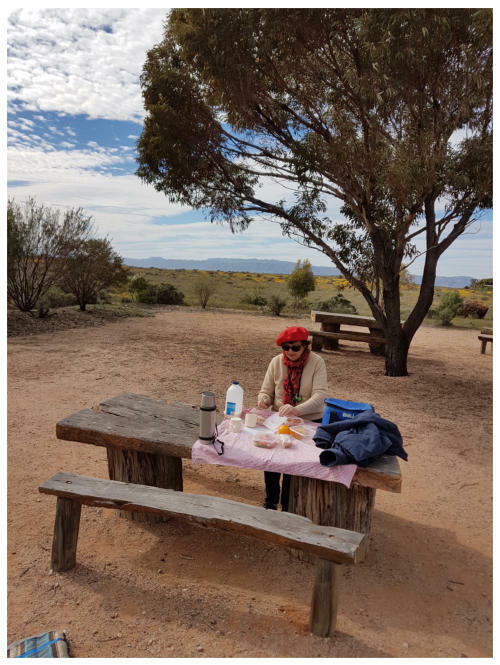 We overnighted at Green Lake in the Mallee and by the second day had made it to Mt Pleasant in S.A. after a very enjoyable drive through the Barossa Valley with its vineyards and small towns, cafes and coffee stops. Terry had chained Meg to her seat earlier in the day in case the urge to visit every winery became too much for her and she ran away amongst the vines to disappear forever like the girls in Picnic at Hanging Rock. The camp ground shared some splendid new amenities with the sports ovals where a noisy and enthusiastic football match appeared to be taking place in the evening. The longish walk to the splendid amenities with torch and tracksuit in the middle of the night took the gloss off them as did the soggy grassed area benefiting from inches of rain that had steadily fallen over the previous few weeks. Gladstone Caravan Park made up for it the following night, one of our favourites in SA. But where to from there? We are grey gypsies so we don’t like to do a lot of planning before setting off on the road. 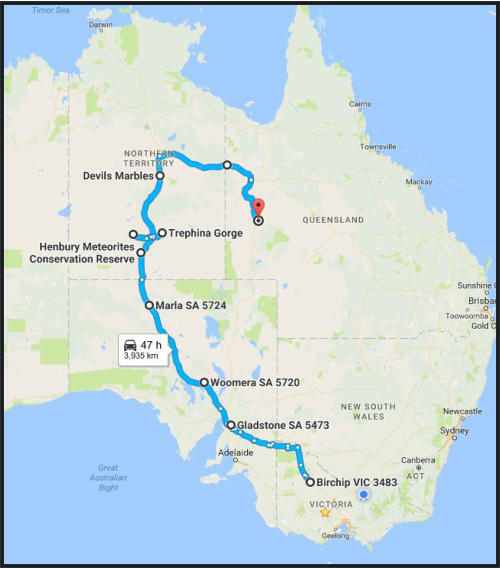 We like to go where the whim takes up with just a rough idea that we need to get to the West and East MacDonnell Ranges and then wander over into western Queensland drawn by the Min Min. Getting out the Road Atlas and we decided to go as far as we could the next day - maybe overnight along the road or at one of those spots that Wiki-Camps recommend. 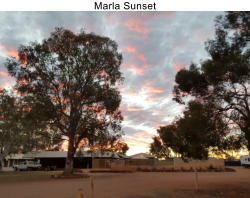 In fact we got to Woomera then the following day pushed on to Marla and stayed at the caravan park behind the service station enjoying for the first time a really warm evening with a great sunset. 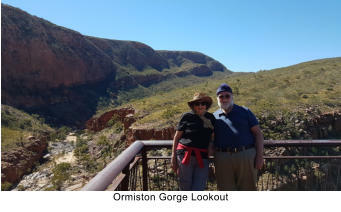 Then off to our first destination – the Henley Meteorite Craters about 100 km south of Alice Springs.